I will never ever doubt people when they tell me that time flies. It really does. 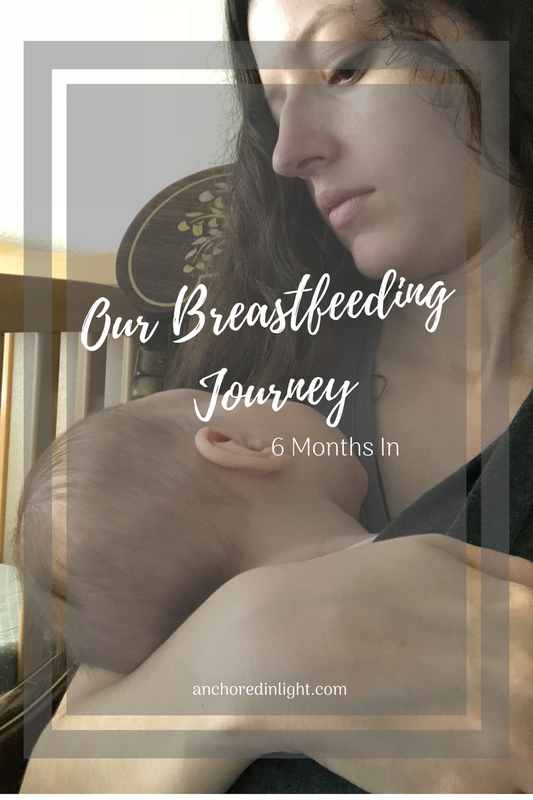 We are halfway through my goal to breastfeed for one year. I honestly can't believe that we've gotten this far! I thought for sure that I would have dried up by now, but so far, things seem to be working out just fine! Since I last wrote, a few things have changed, and some of them have stayed the same. (If you missed my first post, you can read it here). Back then I was worried about making enough milk, and I still am. I'm not sure that concern will ever go away for me. Maybe when we've made it a whole year, but probably not ha ha. I've become a pretty big breastfeeding advocate. 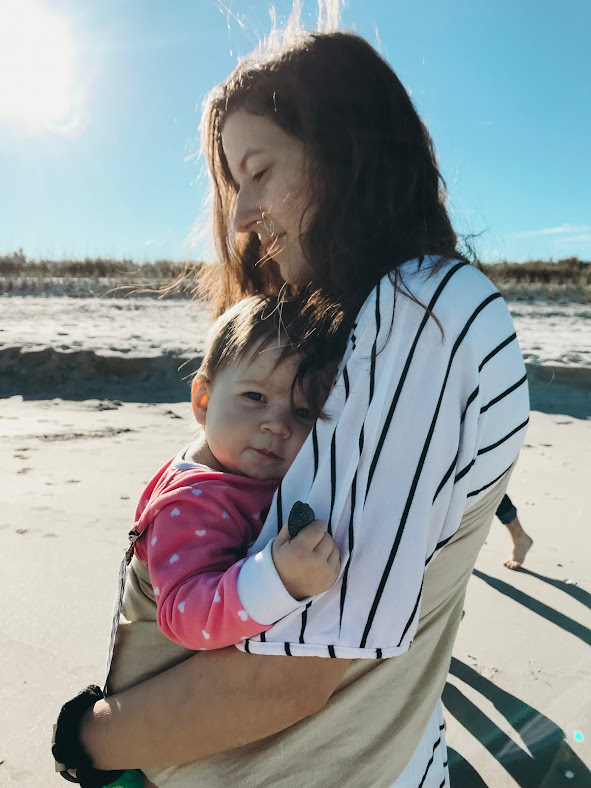 I've surprised myself with my passion for wanting to make sure that all women feel like they can breastfeed whenever, and however, they want. Whether that be with a cover or without. Whether that be in public or a mothers room or at home. I've breastfed openly in public and I've breastfed with a cover and it's so much easier without a cover. Life is hard as a mom, let's not make it any harder by making mothers worry about when or how they're acceptably allowed to feed their babies. That magical feeling has finally set in... sort of. Sometimes I'm feeding her and I look down at her with her big eyes watching me and her hand resting on me and I feel all swollen with love. Times like that I'm not sure how anybody ever gives this up. I'm not sure how women transition to letting their babies feed themselves all the time. Then there are other times when I'm feeding her and I am watching the clock, wondering how much longer she'll nurse or I'm playing on my phone completely disinterested in what's happening. Those times I don't dislike nursing or even really see it as an inconvenience, but those are just the run of the mill times. Honestly, they probably happen a lot more often than the magical times. I'm happy to say that I haven't had mastitis in months! I had it twice (maybe three times) before and it is no joke guys. My mom came to help out with Everly the second time because it hit me so hard. I don't know how women with other children do it! I've also just about quit pumping. I pump once a day and I'm running through my freezer stash pretty fast. I owe this mostly to the fact that we give her a bottle once a day before bed (so that Brian can feed her and bond with her that way, and also so we can give her Vitamin D drops that our pediatrician recommended). Most of what I froze in the early days was as much as the bag could hold. Turns out that Everly cannot eat 6 oz. at a time, in fact, she rarely goes over 3 oz. So a lot of my stash has gone to waste because I run out of time to feed it to her before it goes bad after its been thawed. Seriously considering saving up for a Willow pump for the next baby so that I can have a good stash and pump more than once a day. How long did you breastfeed for? What was your experience like? Why did you decide to stop when you did?